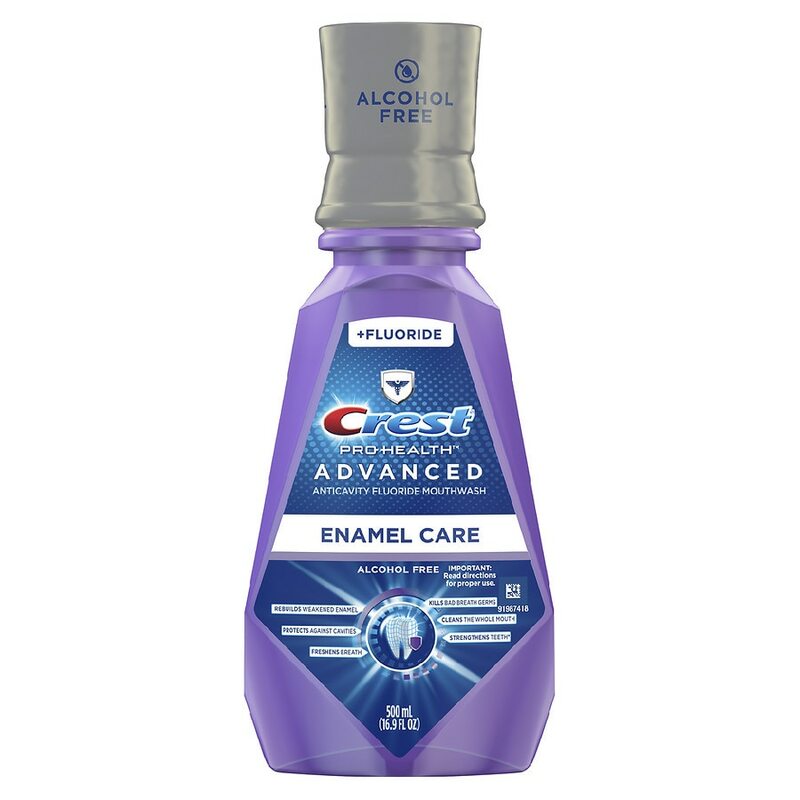 Crest Pro-Health Advanced with Extra Deep Clean mouthwash helps you have stronger* teeth for a healthier mouth. It kills bad breath germs, helps prevent cavities, strengthens enamel, cleans teeth and gums, and freshens breath. *When added to a good oral care routine by strengthening enamel. To open: Remove printed band; squeeze tabs and turn. To close: Turn cap until it clicks. Keep out of reach of children. If more than used for rinsing is accidentally swallowed, get medical help or contact a Poison Control Center right away. In some cases, rinses may cause surface staining to teeth. This is not permanent or harmful, and may be prevented by adequate brushing or removed at your next dental visit.